Happy Labor Day Lovelies!!! 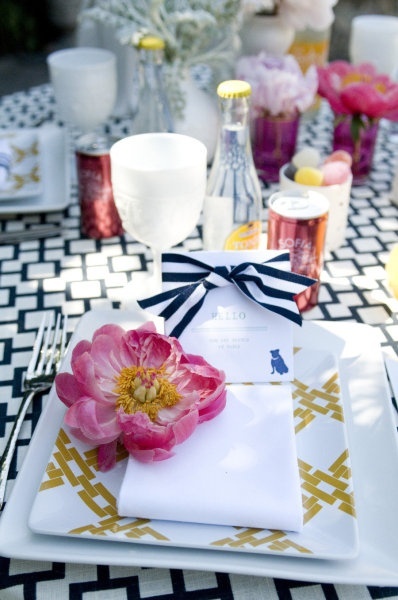 Today’s inspiration is a relaxing labor day tablescape that we just think is picture perfect! 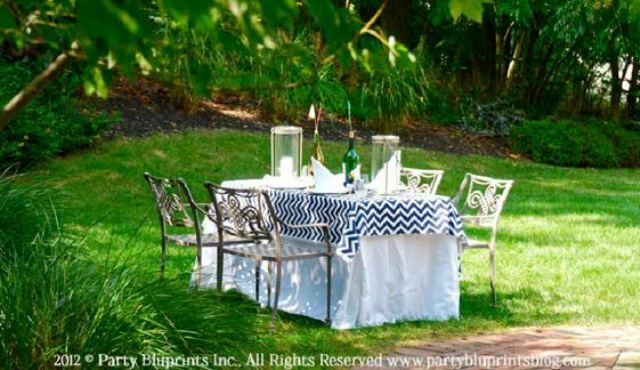 An outdoor party is perfect for labor day and this labor day tablescape with a nautical theme is fabulous. The chevron tablecloth is just exceptional. The rod iron chairs are a darling accent that bring a really soothing feel to the tablescape. We love the tall silver candle lanterns and the sail looking napkins. All finished off with two lovely bottles of wine decorated with nautical flags to really bring this inspiration to life!